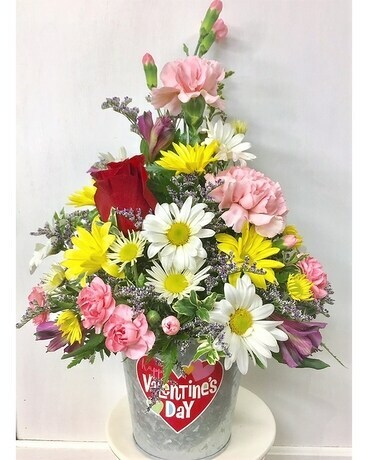 This is the perfect arrangement for your sweetheart! 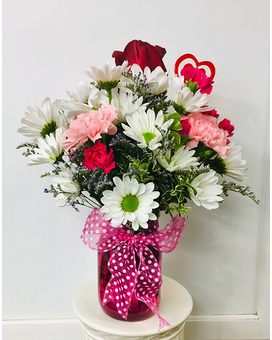 Arranged in a colorful melamine container, you will find brightly colored roses, daisies, alstroemeria, buttons, and mini carnations. Your sweetie will love it!